Significance of data backup for business continuity of any enterprise is a foregone conclusion. Gravity of lost data due to failure of hardware systems is understood by everyone due to the fact that most of us have been exposed to such events at some or other point of time in our professional as well as personal lives. Things can assume gigantic proportions when we are looking at the entire IT infrastructure of an organization. Any kind of outage can adversely impact hundreds of ongoing projects leading to huge downtime expenditure. It is therefore extremely important to have proper data backup systems in place for maintenance of data security and integrity. Ideally one should plan efficient solutions to ensure that vital systems can be restored back to life following any untoward event of an outage. This must happen with simultaneous implementation of backup and archiving procedures to maintain diverse versions of critical applications and data. This is a combined approach to make sure that all critical components of an enterprise’s digital assets are maintained properly and are able to be brought back online. Data backup and disaster recovery are two different approaches that should be used in combination. Sometimes these two are confused with each other since data backup is not same as disaster recovery. One should note that disaster recovery should not be implemented for data backup. Backup provides a cost effective and long term resource for maintaining and storing vital configurations and applications among others. Disaster recovery aims at bringing back significant components of enterprise IT infrastructure back on tracks following a disaster. Although, DR involves higher costs of bandwidth and storage it has potential to instantly restore IT infrastructure thus mitigating downtime. One needs to design appropriate strategy for protection of enterprise data by estimating the amount of data that the enterprise can afford to lose. The standard unit designed for this is known as Recovery Point Objective or RPO. It is defined as the longest tolerable period of time required for altered data to the target environment or backup. Backups are implemented externally or at remote storage environment. These are designed to be performed at certain intervals of time such as daily, weekly, and so forth. The periodicity of your backup is nothing but RPO of your organization. If you are taking backup once in a day, then the Recovery Point Objective (RPO) is considered to be 24 hours. Every individual organization needs to analyze its requirements for designing customized disaster recovery objectives. There are some common elements of Disaster Recovery planning that include establishment of an off-site target for maintenance of synchronous data copies. The process of copying synchronous data involves all physical as well as virtual machines that are part of DR planning. These machines get copied over to failover sites the moment there is a data change to facilitate access to the latest version of critical servers. Synchronous replication is an important aspect of any Disaster Recovery solution. The rapid delivery of changed data to failover targets minimizes RPO to a great extent and simultaneous mitigation of data loss. Data retention periods of backups are generally in a higher side since the additional versions of files and fresh data is being continuously added to backup set. This continues till the time the storage capacity is able to absorb fresh volumes of data. In contrast, the retention periods of data in case of Disaster Recovery solutions are considerably small due to constant replication. Synchronous replication leads to creation of several individual checkpoints that are termed as journal. The amount of available storage capacity defines the general size. The time required to the systems back online by performing data recovery is known as Recovery Time Objective or RTO. In case of data backup, this period of recovery can extend from hours to few days with regards to the amount of data to be restored. 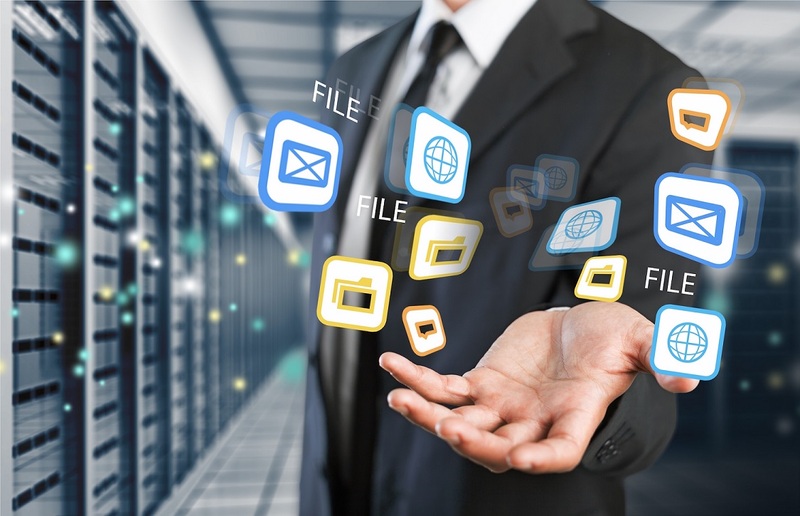 The complexity of recovery in data backup environment is due t the fact that backup data is stored on separate platform that is outside the production environment. This requires the data to be either copied or rebuilding from the scratch in the event of a lost server. This can also lead to reinstallation of all applications prior to data restoration. On the contrary, in spite of the fact that your DR covers a sizeable proportion of IT infrastructure, it is designed for instant restoration or failover of all systems in the infrastructure. Replicated data is not required to copied off because it is stored on same hosting or cloud storage platforms. Many times simplicity of a DR failover is comparable to switching on VMs at another data center or in cloud. For any enterprise IT infrastructure, presence of data backup as well as DR planning is highly essential. Both are designed to server different objectives with unique array of benefits.